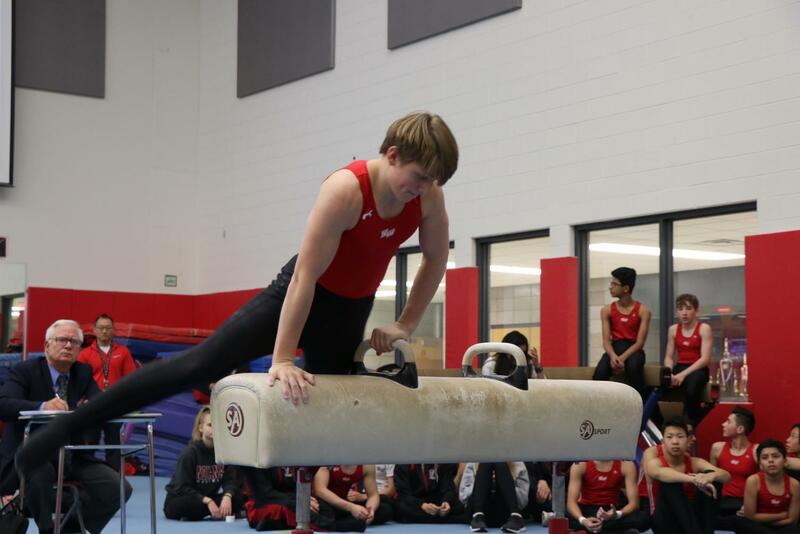 As the school year continues forward, the boy’s gymnastics team is prepared to see what the season will bring and work harder than ever before. Head coach Adrian Batista envisions the season to be the most extraordinary one yet as numerous skilled gymnasts return to the team along with a large group of veteran seniors to capitalize on the greatness they hope to achieve. For many on the team, this will be their final year on gymnastics for West as most of the athletes are seniors. They hope that this year will bring great success and unforgettable memories. Junior gymnast Patrick Greiner also feels that this incoming group will ensure promising results this season. Last season, they just missed making it to state as a team, placing ninth and being one place away from qualifying. Their main goal this season is to qualify for state as well as winning the conference this year. In order to achieve these goals, they must defeat their top competition. Come and show your support for the boy’s gymnastics team at their first home meet against Elk Grove High School on Tuesday, Feb. 26 at 6:00 P.M.